Have you been struggling with concealing your secret identity? 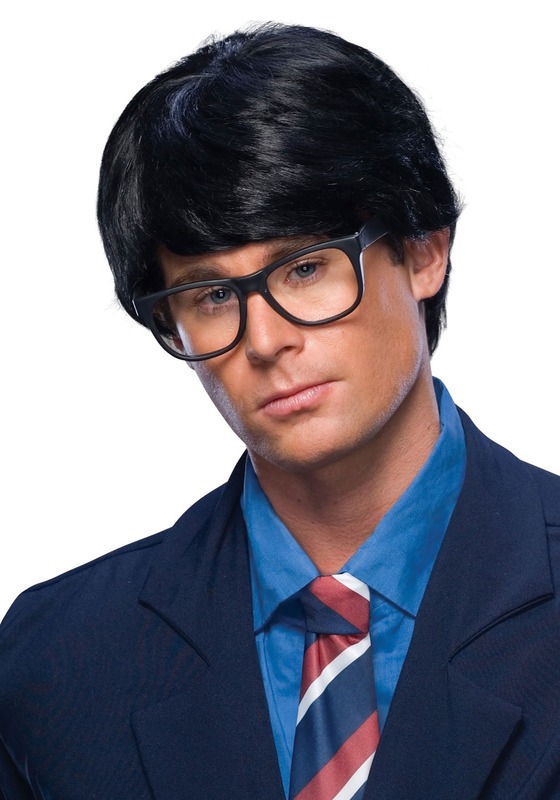 Sometimes just putting on a different kind of suit, a pair of glasses, and a mild mannerism won't always do the trick, especially if you work somewhere that's full of clever co-workers such as a newspaper. Before you get frustrated and move out of town, and change your job, there are a few solutions to this problem. You could always fix your super suit, and outfit yourself with a mask. There's a wide variety of colors and styles out there to fit your needs; but maybe you like the way your suit looks, and a mask would just ruin the effect. What then? Have you ever considered wearing a bit of a mask on the outside? Sometimes when you have an incredibly unique hairstyle, you just become a dead giveaway when you don't change it much. This wig has a fantastically stylish look, and can be placed over your rainbow Afro hair signature to your heroic character.